In space, it has been said, no one can hear you scream – space’s atmosphere lacks the material that make sound waves possible. 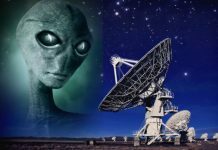 That may very well be the case, but that doesn’t mean space isn’t filled with an abundance of strange sounds in the form of radio bursts, electromagnetic pulses, solar wind, charged particle bursts, and other celestial emissions. Of course, much of this activity is technically soundless. So this week, Gizmodo asked experts in astronomy and astrophysics what the loudest sound would be, if sound as we understand it existed up there. As it turns out, it sometimes does – and when it doesn’t, we can sometimes convert the relevant emissions to a sound tolerable to our tiny, earthbound ears. As far as I’m aware, the Perseus galaxy cluster is the current record holder for the loudest sound discovered in the Universe. Generating sound requires two conditions. First, there must be a medium that the sound waves can travel through, like air or some other gas. 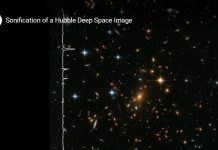 Indeed, there is very hot gas that pervades the space between the thousands of galaxies that make up the Perseus galaxy cluster. This gas shines as X-ray light that we can observe with X-ray telescopes in space, like the Chandra X-ray Observatory. The second condition for sound is a source to actually produce the sound waves. A powerful black hole is at the center of one of these galaxies that make up the Perseus galaxy cluster. 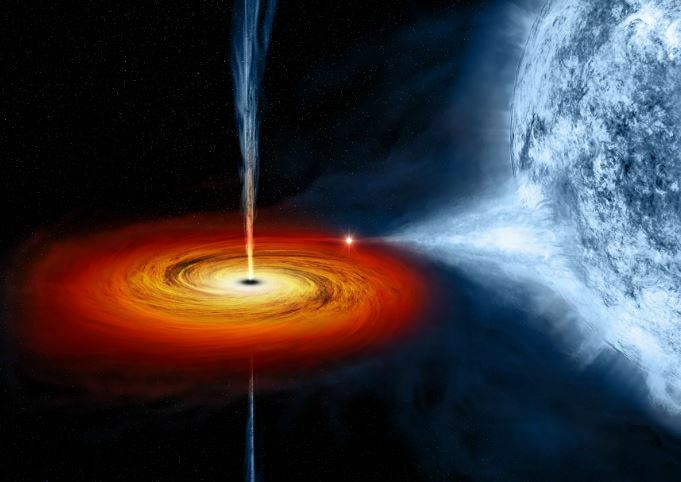 Periodically, this black hole ejects an enormous amount of energy into the hot surrounding gas, which transports the energy as sound waves traveling out through the cluster like expanding bubbles. Sound is really a form of energy transmittal, it’s vibration. The problem is the transmittal of that energy in the form of sound – there is no sound in space. But energy gets transmitted in other ways – a blast wave from an explosion, for instance. Gamma ray bursts are considered to be the most energetic events in the universe and they release more energy in 10 seconds than the sun will in its entire ten billion year lifetime. Sound cannot really travel. For sound you need some medium – like gas, for instance, in the Earth’s atmosphere – and in space that material is very, very rare – maybe one atom per cubic kilometer, or less. But that doesn’t mean that a big explosion couldn’t generate acoustic waves. Stars are continuously bubbling, you could say, through a process called convection. 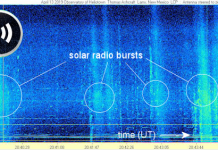 That type of disturbance in the plasma state generates a lot of acoustic waves – sound waves. The sun itself does this. Sometimes these acoustic periods can last for hours, sometimes just a few seconds. You could interpret these kinds of acoustic waves as very loud soundsThe energies involved in the generation of these acoustic waves are billions of billions of billions of times the power of an atomic bomb. The explosions that produce these sounds are absolutely massive – you cannot imagine. So there were an intense series of explosions on the sun – often called solar flares – in 1991. These sent a shockwave out through the solar system. We detected this shockwave with four spacecraft: Pioneer 10, Pioneer 11 and Voyagers 1 and 2. We also detected it when it went by the Earth. It was moving at 600-800 km per second -several million miles an hour. I postulated that this radio emission was produced when the shockwave finally reached the the heliopause and ran into the interstellar plasma. Or you can also read my page about Space Sounds on Strange Sounds! Enjoy!